While most of the media attention will be squarely focused on poker’s superstars like Daniel Negreanu and Phil Ivey, my plan for the 2013 World Series of poker is to follow all the big news, but to also keep one eye squarely focused on three other stories that will probably go relatively unnoticed over the 6+ weeks of the WSOP. In this column I’ll lay out why I’m interested to see what if anything the WSOP does as a tribute to Chris Moneymaker and Doyle Brunson; what effect the WSOP and its influx of players has on the online poker traffic numbers for licensed Nevada poker rooms; and finally I’m curious to see if the WSOP is actually being challenged by other tournaments around the globe. In the first part of this series I’ll take a look at What the WSOP should do to honor the 10-year anniversary of Chris Moneymaker’s win, as well as how they should pay tribute to Doyle Brunson. The WSOP has a few things it needs to address this year. First off we have the 10-year anniversary of Chris Moneymaker’s win which many believe is the catalyst for the poker boom and the current level of interest in the game. But in addition to Moneymaker we are also witnessing another bit of history, as Doyle Brunson has officially retired from WSOP tournaments. It would be a shame, but by no means surprising, if the WSOP does little more than a ham-handed tribute for either player, letting them handle a “Shuffle-Up and Deal call” or some other similarly trite moment in the spotlight. So what is it that I want the WSOP to do for Moneymaker and Brunson? I’m glad you asked, since I was going to tell you anyway! 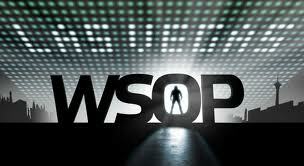 When it comes to Moneymaker I’d like to see the WSOP keep it relatively low-key and not force the issue. Obviously Chris should get a nice introduction at the start of the Main Event and handle the “Shuffle-Up and Deal” duties, but I’d like to see ESPN bring him in for some guest commentary during the broadcast and let Lon and Norman pepper him with a few questions, and let Chris give his unique insights into what’s going on in the player’s heads. With Doyle I am hoping for much more. Doyle deserves to be officially honored by the WSOP, not only this year but also for posterity. I made this argument a few years ago, and I still think it’s the only “proper” way to honor Doyle’s contributions to poker and the WSOP, and that is to rename the Player of the year award in honor of Doyle Brunson. Personally I’d like to see it go a step farther, and add Doyle’s name to the WSOP Main Event somehow, but I’m willing to settle for the World Series of Poker Doyle Brunson Player of the Year Award. We already have the Chip Reese trophy which goes to the winner of the $50k Poker Players Championship, so why not create a trophy for the Main Event? Pretty much every sports award and trophy is named in honor of some legend in the field and its time poker did the same.